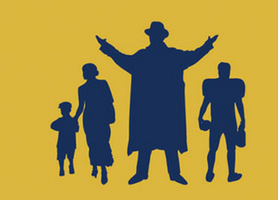 Northwestern University will be presenting a spectacular summer musical about the life and times of Knute Rockne! SOMETHING IN THE GAME: AN ALL AMERICAN MUSICAL will run from July 20 – August 5 at the Josephine Louis Theater on the Evanston campus. Join the Notre Dame Club of Chicago on Saturday, July 28th, to see this exciting musical about the Fighting Irish and its famous football coach! Showtime is 7:30 PM. Get your tickets through the NDCC at events.org/rocknemusical. Club members get $5 off tickets – please email director@ndchicago.org for the code if you believe you are eligible for the discount. Following the performance, the group will gather at The Celtic Knot (626 Church Street, Evanston) for some Irish camaraderie!